Show begins with inauguration of President Trump 4K. Close up shot of popcorn bowl in focus with person picking corn and watching television in background out of focus. 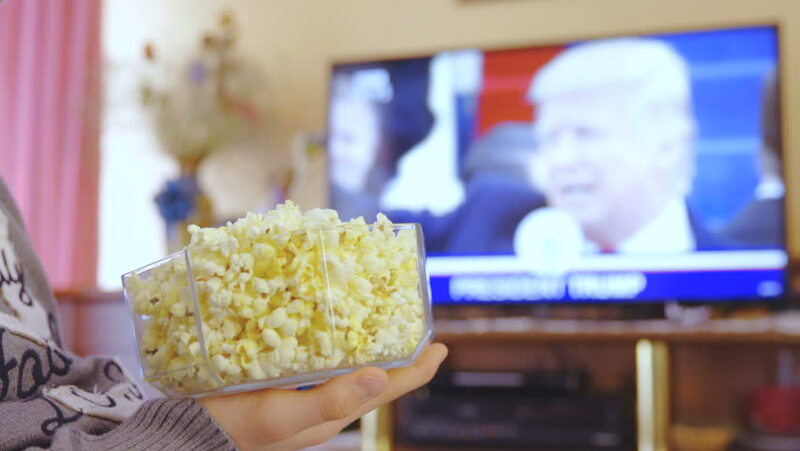 4k00:22SLOVENIA, JANUARY 2017: Eating popcorn and watching Trump Inauguration ceremony 4K. Static close up shot of popcorn in focus with television in background out of focus.